St. Thomas views our facilities as gifts from God provided for the sake of the whole Bloomington community, both congregational and public. We offer meeting rooms, a welcoming entryway, and excellent parking. We provide hospitality free of charge to the Bloomington Spinners and Weavers Guild, the Bloomington Community Band, the Local Growers Guild, and other civic, community, and neighborhood groups. Our policies for the use of congregational facilities are intentionally generous, especially for those groups who engage in not-for-profit activities consistent with our mission. To schedule an event or meeting, please call the Church Office. The Jacobs School of Music enriches the musical culture of Monroe County in countless ways, and we’re happy to be part of that. The Organ Department at Jacobs holds recitals at St Thomas. 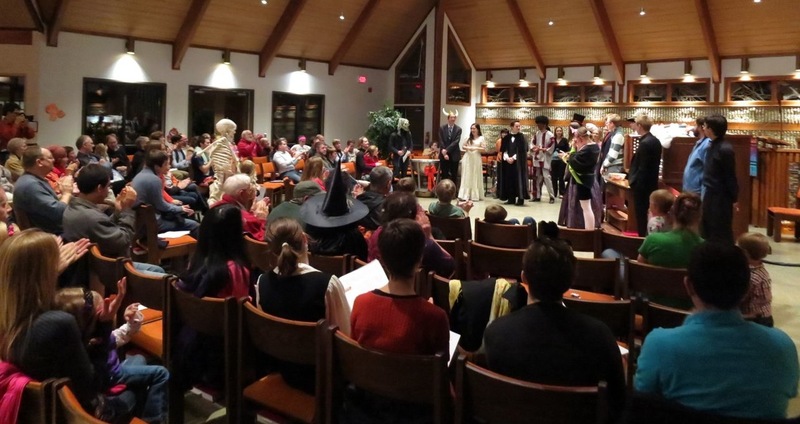 The student chapter of the American Guild of Organists uses the St. Thomas organ and sanctuary for their annual Halloween Spooktacular Pipes, an event for the whole community. Our organ and piano are available for concerts by community groups with the approval of the organist. Read more about the organ on the Music Ministry page.